How do You Help Students Accept and Work Well with People of Different Beliefs, Cultures, Languages, Socio-economic Statuses, Education Backgrounds, and Learning Styles? My August blog writer is my colleague Jaana Lindfors, Kirkkoharju school, lecturer of Finnish language and literature, Kirkkonummi. The world is falling apart. It seems that the people walking on earth understand each other less and less. The rifts between nations are getting deeper and wider. We desperately need professional bridge builders. Bridges make us world citizens. Without them we will lose the touch permanently. “We” becomes “they” and “others”. The fear increases. A child cannot choose to which society he’s born, nor will he grow as a responsible participant world citizen without the grownups support. School has a crucial role in this bridge building work. To this job the schools need concrete working methods. The school board in City of Oulu and Kerttuli school in Turku invented tools to make immigrant students equal and active members of the school community. The immigrant students were educated as ambassadors in sustainable development and they went from school to school to share their knowledge to Finnish students. Messages to Morogoro – can you hear Africa? The students in Riihimäki school in Mäntsälä and Syväkangas school in Kemi created connections to Africa. They noticed that their thoughts and feelings with their age-mates were very similar despite the continents. The Riihimäki school stepped very open minded face-to-face with Tansanian children in a program called Face – Facing – Face to Face. 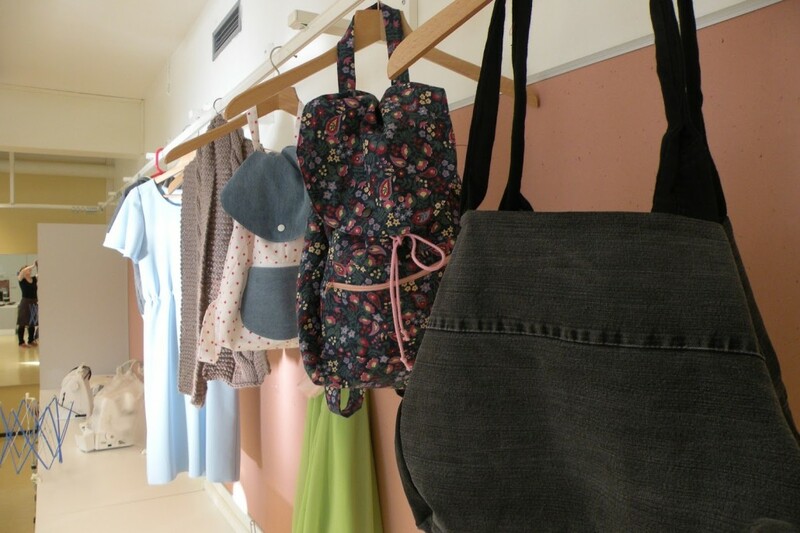 The textile and art groups in Kirkkoharju school in Kirkkonummi deepened their studies in decreasing consumption and sustainable way of living in theory and in practise. The themes of living sustainably were brought vividly to young people’s world. They bought cheap textile from recycling centers and sewed them to look something new. They visited the biggest dump in Scandinavia and made there their own environmental promises. The Jokela villageschool in Raahe travelled to imaginative journeys to ten countries. The virtual journeys produced a lot of new knowledge, student’s media creations, crashed prejudices and enrichened the whole school life. The Linkkala school in Forssa studied in many different ways the water theme and made a model for further project. The goal was to increase knowledge of the Baltic Sea and work together with another Baltic nation – the Estonians. They had a contact with a school in Tallinn, the Rocca al Mare school. One tenth of Martinlaakso school’s students in Vantaa, have a foreign background. They made a collective play together. The idea was to give a voice and face to school’s own immigrant students. The students of Myllyharju school in Loviisa wrote about their experiences in an English Net magazine. Secondary school students edited an English Get Global Net magazine, where eco acts and gourmet trips were made. They also attuned co-operation with other foreign schools. The school wanted to create new ways of advancing sustainable development in their own environment and in a global world. The culture is born in a society. If we teachers believe in a human picture that all humans despite their habitation are willing to learn new, create art and think deeply, we are in a good way. Beyond that we need courage and small acts. http://marketing.pathstomath.com/wp-content/uploads/2013/04/paths_to_math_logo_340x156.png 0 0 Maarit Rossi http://marketing.pathstomath.com/wp-content/uploads/2013/04/paths_to_math_logo_340x156.png Maarit Rossi2016-08-19 07:05:562016-08-21 17:01:05How do You Help Students Accept and Work Well with People of Different Beliefs, Cultures, Languages, Socio-economic Statuses, Education Backgrounds, and Learning Styles?